“We have to decide what to do from here,” U.S. District Judge Roslyn Silver told the court matter-of-factly at a status hearing Thursday in the Parsons vs. Ryan prison health care settlement. Silver inherited the case after the retirement of Magistrate Judge David Duncan, who levied sanctions against the state on his last day on the bench this summer. While the state has repeatedly fought the orders, Silver filed an extensive order Thursday afternoon before the hearing, reaffirming Duncan’s jurisdiction. One of Duncan’s order’s was to appoint an independent monitor to oversee the entire state prison health care system. Duncan and Silver have both asserted the state could not be trusted to monitor its contract with Corizon Health. 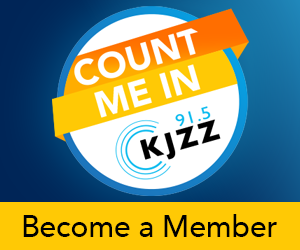 Whistleblower testimony from a former Corizon employee published by KJZZ prompted Duncan to look into the integrity of the monitoring process, which he found to be lacking. On Thursday, in her first hearing with attorneys from both parties in the settlement, Silver asked representatives for the state and the inmates to discuss the merits of selecting an independent monitor. She also asked the parties to debate other alternatives, such as setting the settlement aside and having a trial. Silver also raised the possibility of appointing a receiver to oversee the health care system, similar to the current system in California. In a previous order setting the hearing, Silver estimated attorney’s fees for the past three years of the settlement had likely exceeded $5.5 million. Those measures are benchmarks from an agreement between attorneys for the inmates and the state for improving health care in the prisons. Through vigorous monthly oversight, Duncan had been requiring the parties to go through the hundreds of measures and discuss where the state was failing and why. By the end of his time with the case, hundreds of performance measures remained to be achieved. Silver, acknowledging the complexity of the case, said that hiring an independent expert to review the remaining performance measures, as well as the state’s methodology for monitoring them, would be the best path forward. Silver said after consulting with other judges, she had decided that correctional health care consultant Dr. Marc Stern would be the best candidate to perform the oversight. Prison Law Office Executive Director Donald Specter supports the appointment of the independent monitor because he does not trust the data from the Arizona Department of Corrections or Corizon Health. Specter said he had no problem with Stern as the court’s choice, noting that Stern was an expert in cases against the ACLU, but was generally known and respected in his field. Specter told the court there were “two ingredients missing” to achieve reform in Arizona. Representing the state, attorney Dan Struck reminded Silver that ADC and Corizon had made progress in meeting many of the performance benchmarks in the stipulation. The initial agreement established 774 performance measures the state would be required to fulfill by 85 percent. Struck said based on the progress made over the years, the state believes 627 of those performance measures should be dropped. But Struck took issue with the appointment of Stern, saying his previous work shows that he is usually hired by plaintiffs in similar cases and had a history of finding constitutional violations. Struck says his own research uncovered statements made by Stern against the privatization of health care services. “He does not like privatization, so we feel like he’s already coming in with this predisposed bias,” Struck said. Specter defended the choice of Stern. Ultimately Silver chose to hire Stern. “I find that he is more than qualified to resolve the issues that are presented to him and his opinions will be tested on whether they are reliable,” Silver said. The judge said if there were objections to Stern’s findings, the court would resolve them. In the meantime, Silver ordered both sides to meet and decide the scope of Stern’s pending task. Silver said she would ask for periodic reports and the defense would pay for the cost of Stern’s work. After court was adjourned, Specter said it appeared they were embarking on another long process.